Why? Entry level jobs are often tough to handle. Students complain about hectic routines at work with a very low pay when they start at entry level. Such jobs are not what people dream of when they finish their graduation. So, if you are going to finish your college soon and looking forward to stepping into your dream office with the kind of job you want, take a look at the following tips to skip entry level jobs and fulfill your dream. There is one thing in any job advertisement that scares students away: requirement of experience. Usually companies do not hire inexperienced employees for jobs besides entry level ones. The best way to battle off the condition of experience is to gain experience beforehand. 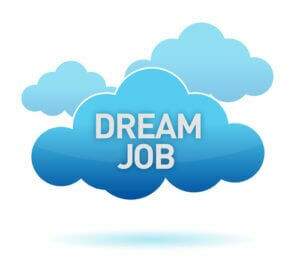 Find yourself a part-time job while you are studying in college in order to gain experience. This way, you will not only learn the practical application of your skills before you jump into the job market but add years to your experience as well. By doing so, you can confidently mention job experience in your resume and skip the line to get your dream job. Becoming a productive member in team projects does not only provide chances to learn but also opportunities to stand out and shine among others. Being a fresh graduate people in your office may not consider you as a great leader unless you take the lead and prove your skills. Do not hesitate even if you need to take a lead while working during your college years, and utilize each of such opportunity to add a star on your resume. You can surely get a chance to skip entry level jobs and get the perfect job if you become successful in gaining team leadership experience during college years. The key to success is to connect with people. Focus on building contacts with people who can arrange them for you instead of focusing too much on jobs. If you are already working in an office, find a boss for yourself who can motivate you, guide you and praise your performance in front of others when needed. Working under a mentor is always a great idea because a person with experience can help you learn basic squicker than you could on your own. So, while looking for jobs find a boss whom you can connect and build good working relations with. The technique to get yourself a job that requires experience without having any is to become good at advertising your skills and potential. It is a fact that people with more years of experience are expensive. You can definitely increase the chances of getting your dream job by a huge number if you can convince the employer that you possess same skills as the experienced candidates and can work for lesser pay. Do not publicize about skills that you do not have as it may damage your reputation permanently. Instead, learn all the basic skills and master them so that you do not disappoint your employer who trusted your skills. Learning the basic skills on your own is not only helpful in skipping entry level to find a dream job but also very important to increase possibilities of a successful career in future. Liana Daren is the editor in Chief at Coursework Point, a platform that’s been offering coursework writing service.